Every time I use my slow cooker I’m reminded how MAGICAL it is!! You just dump everything in, go to work, come back: dinner is ready. I really don’t know how much better it can get! This recipe is really pretty simple — use some pre-made curry paste (or make your own if you’re ambitious! ), add some Pacific Foods Organic Chicken Bone Broth with Ginger along with a few other simple ingredients, and that’s it! 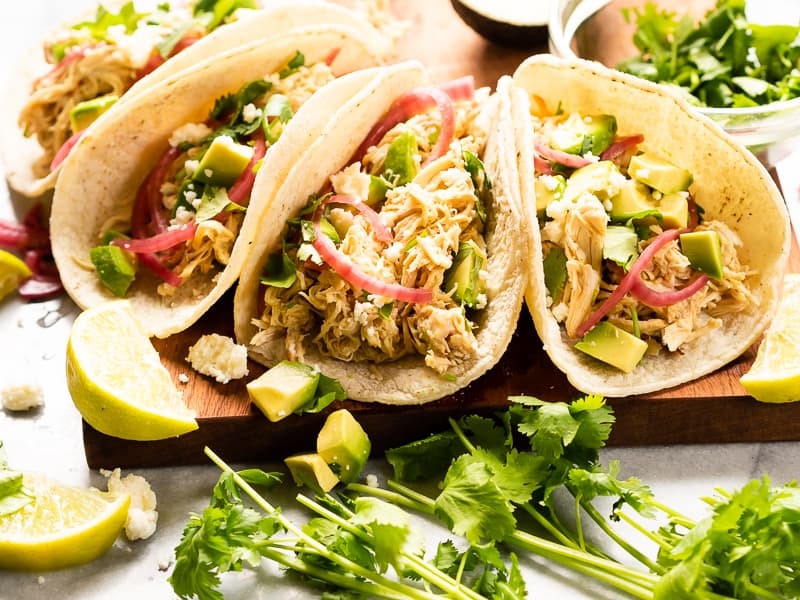 Simple, straightforward tacos. You could also use this meat in sandwiches, salads, wraps, or anything else! It’s flavorful and spicy and definitely not boring. 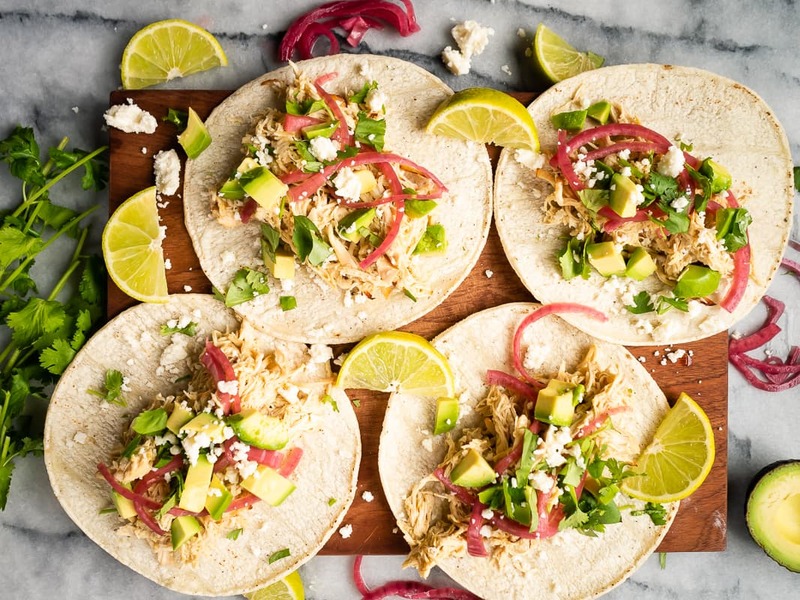 Spice up tacos with your favorite toppings — escabeche, radishes, avocado, chopped onions, cilantro, etc. Those are a few of my favorites! 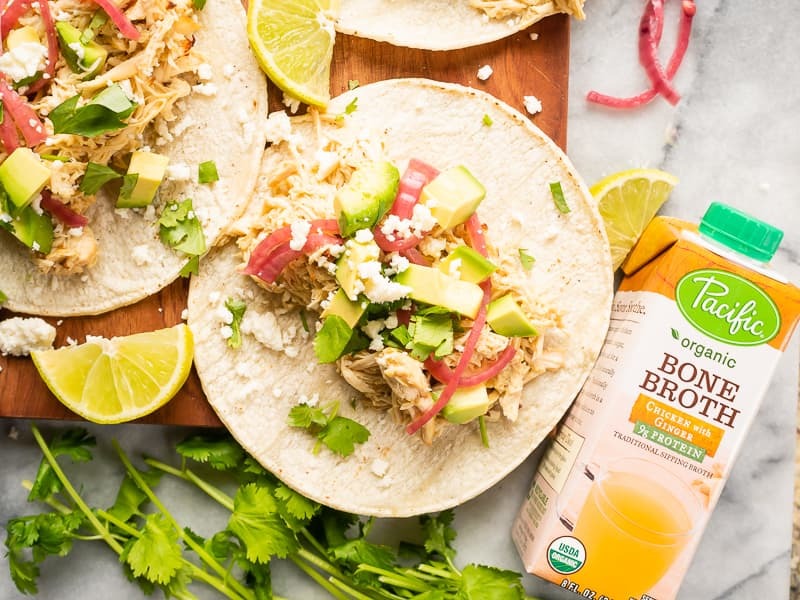 These flavorful slow cooker tacos are seasoned with green curry and lemongrass broth. 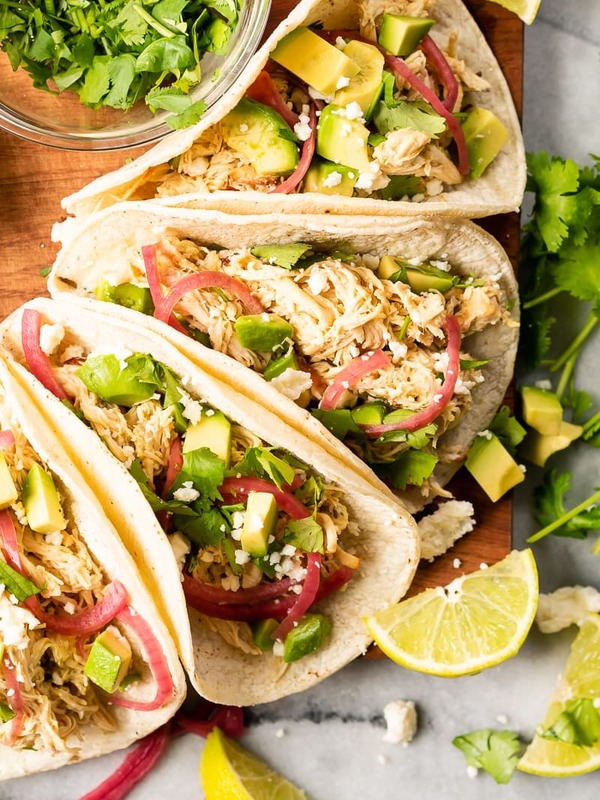 With minimal effort, you’ll have delicious street tacos at home! Combine the curry paste, broth, ginger, garlic, lime juice, and onion in your slow cooker. Stir until the curry paste is fully incorporated. Add the chicken breasts in a single layer (if possible. If not, that’s okay), and cook on low for 6-8 hours, or high for 4 hours. When the chicken is done, use two forks to shred it in the crock pot. Add the coconut milk, stir everything together, and cook another 5-10 minutes (until warmed through again). 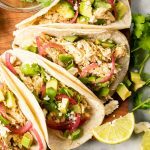 To assemble the tacos, warm your tortillas and then layer the shredded chicken, cilantro, pickled red onions, cotija, and avocado.